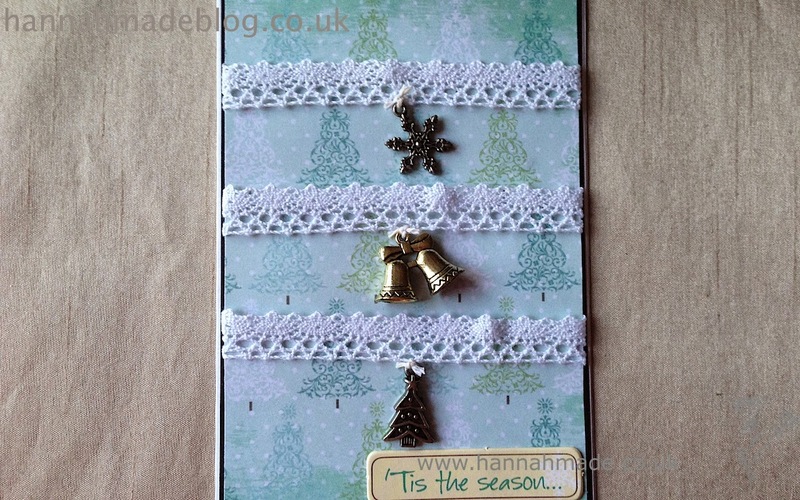 Yesterday the postman dropped my subscription of Cardmaking and Papercraft through the door, so when I opened it and saw the free gift was a Christmas pack which had 6 A5 papers in I thought I would try to use these up before they go into my mass of loose papers, never to see the light of day again! 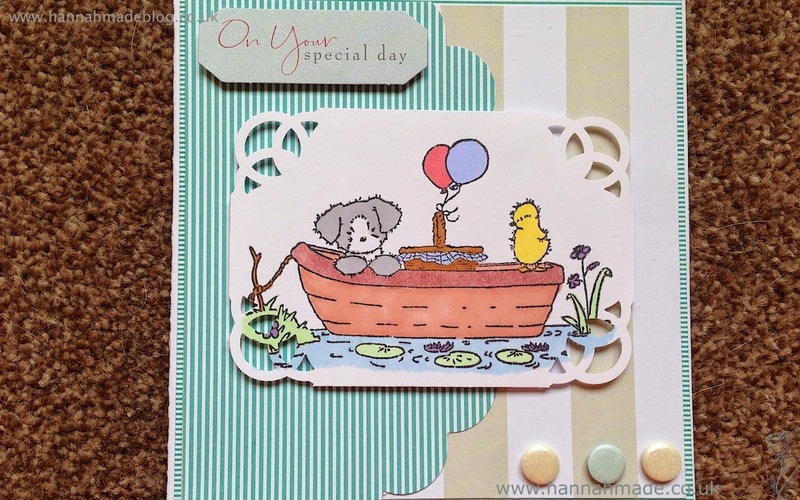 I used two of the papers to create today's cards and combined them with things from my stash rather than the matching stamps and embossing folder. As Christmas cards go, last weeks were quite bright as I used a lot of warm tones, so this week I gravitated to the cooler tones, so I picked out a couple of blue sheets from the pack. What's better than a big bag of popcorn and a film. Now don't get me wrong snuggling on the sofa with a film, snacks/takeaway and a candle cannot be beaten. But what about that new film you are dying to see? This is where our new best friend comes in. 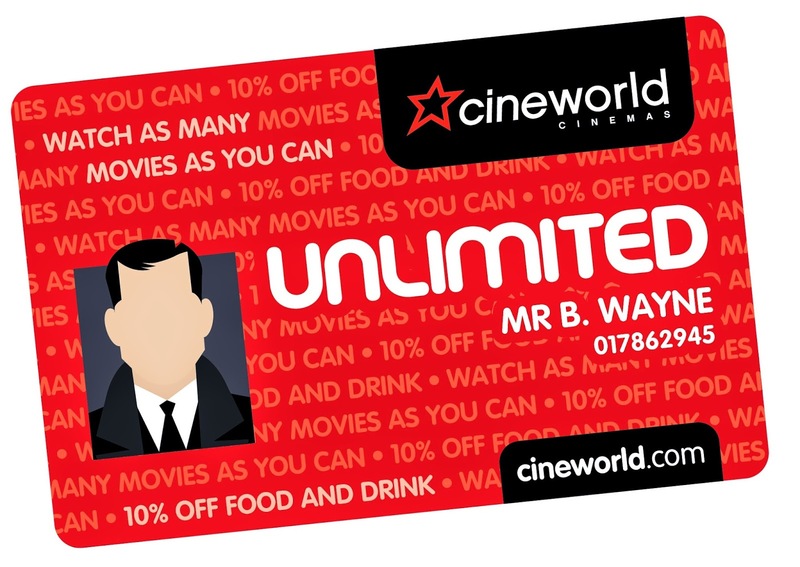 A Cineworld Unlimited Card. Image sourced from cineworld website. James loves seeing films in the cinema as they come out and I must say I have become slightly converted too and with the unlimited card I would argue this actually makes going out to see films cheaper than staying in, obviously depending on how often you go. For £16.40 a month you get to go to an unlimited amount of films, hence the card's name. But on top of that you get 10% off your food and drinks and the longer you have the card the better deals you get. Cineworld is known as the cheaper of the two cinemas in my area and an adult ticket typically costs £7.97 before 5pm and £9.14 after if booked online through an account. If you buy your ticket at the cinema or do not want to create and account the ticket are 10% more expensive. This means if you see two films in a month you have already saved using your card. Whats the catch? I hear you all ask, well the biggest catch is that the minimum is 12 month contract. However I know I make more of an effort to see films because of the card. Also I've found overall money is saved even if I go once one month, because I normally find the month after we go three or four times, and sometimes you're better off looking at the grand scheme for money saving. Now this is the bit that really excites me, coupons! Cineworld email out coupons all the time, which also do not exclude weekend visits, however they have your name on them so they cannot be transferred. So on Saturday I got a free regular drink and popcorn! and James has had one for free drinks in the past too. So if your into watching films or like going out for a date night without the big cost I would recommend giving the Cineworld Unlimited card a go! 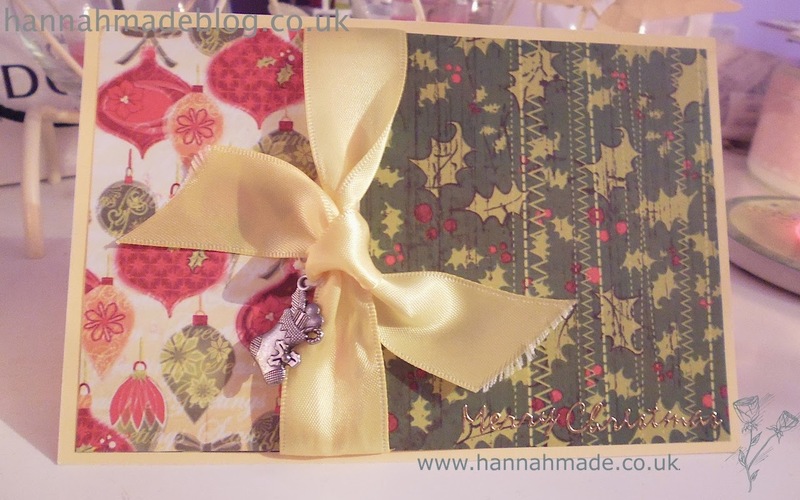 Yes that's right it's the time of year where all of us crafters have to start thinking about Christmas! 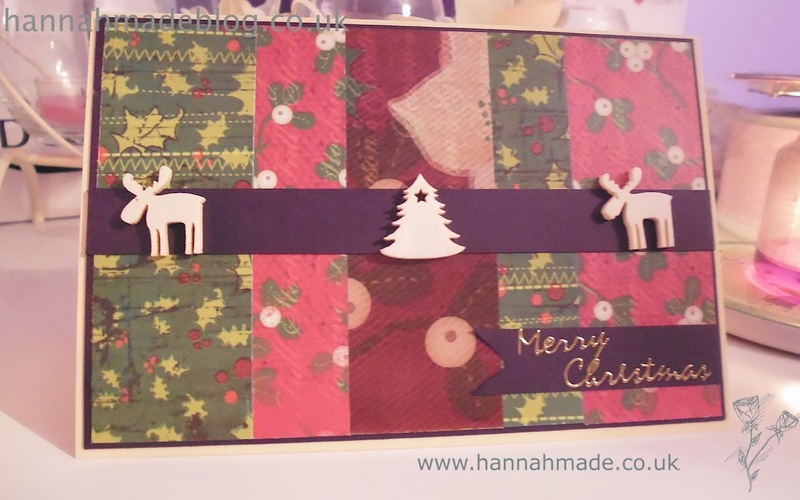 In particular all the christmas crafts we have to get through before we reach the busy festive period! Seeing as though it's a long bank holiday weekend I decided this would be the time to finally start thinking about my Christmas crafts, I've even have started to plan what I need to bake and table place cards! 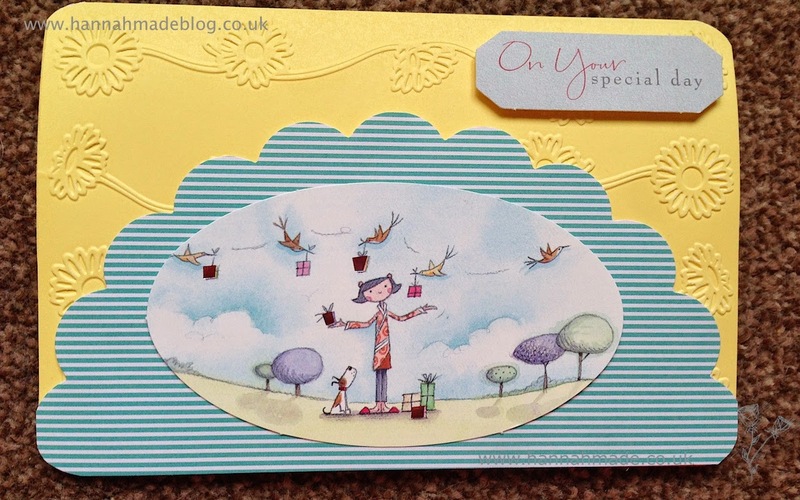 Like Normal this weeks shop my stash includes many freebies I have received throughout the years from my Cardmaking and Papercraft magazine which I've not got round to using for one reason or another. Paper pads are my favourite thing to buy so I made all these designs focus on using patterned paper as the focal point, in hope I may actually use up my first paper pad! Wishful thinking never hurt anyway! Applogises for the slight fuzz to the images, my camera's been playing up but I thought it was still worth sharing this week! 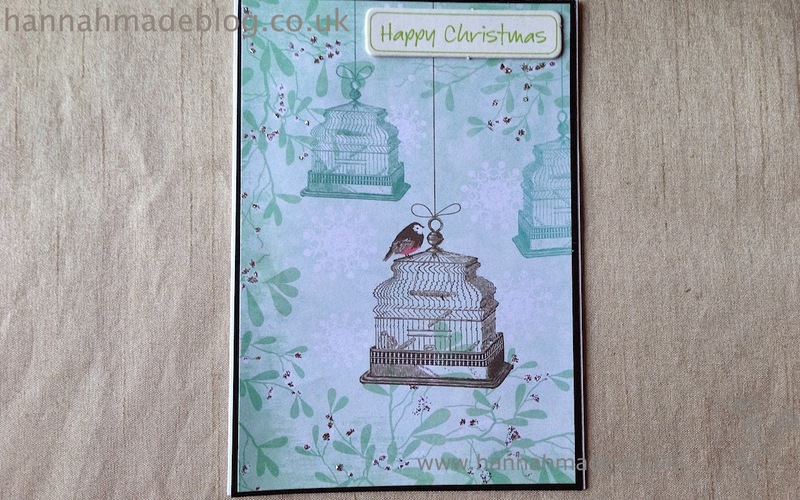 This week I realised I was actually running out of cards as there has been so many reasons to give cards out! I wanted to make a few cards quick as I was very limited on time. Typically I would stamp images but since being on a mission to be less of a hoarder and more of a user I have been digging out things I do not typically use for one reason or another. So this lead me to to look though my card toppers. 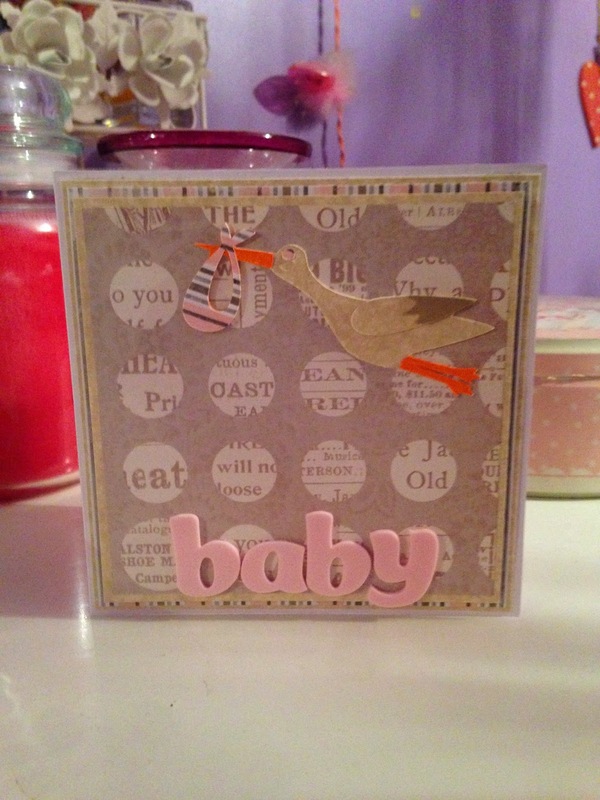 I have a love hate relationship with card toppers, I know they are fast and easy but sometimes I feel they are a lazy and unimaginative way to make cards, particularly for me as I do not make cards bigger than folded A5 or 5x5 so by the time I have stuck the topper on there is no room for anything else. 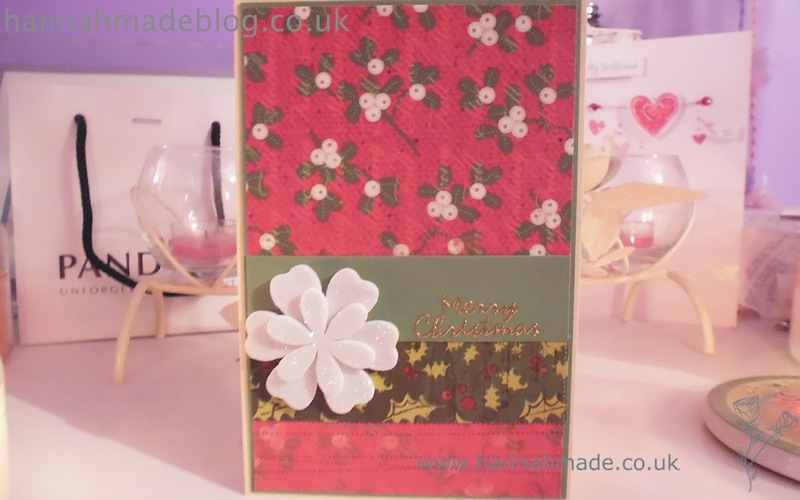 Nevertheless I receive them as free gifts from time to time from Cardmaking and Papercraft Magazine and it would be a shame for them to go to waste as they do produce beautiful cards and gives more space for other craft items in my stash! 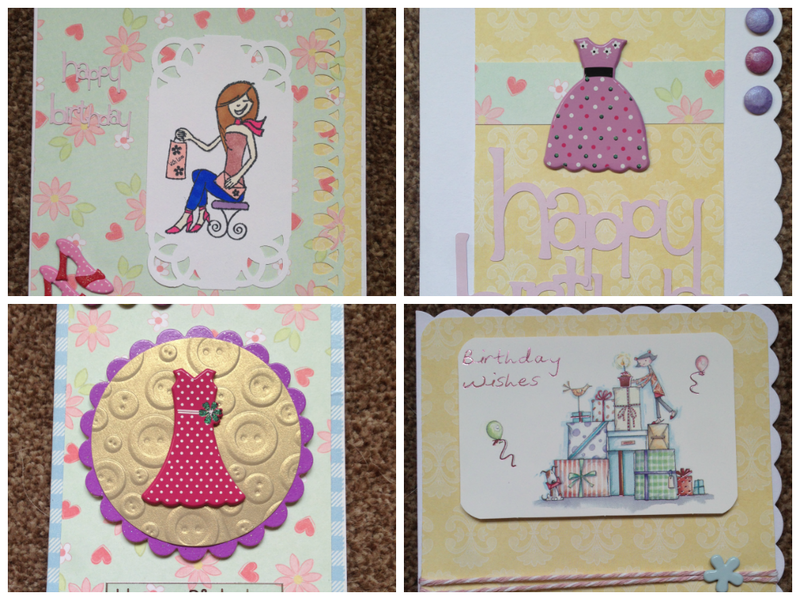 All the items I used on these cards (excluding the card base) is from a taster pack which came free a few months ago in Cardmaking and Papercraft. 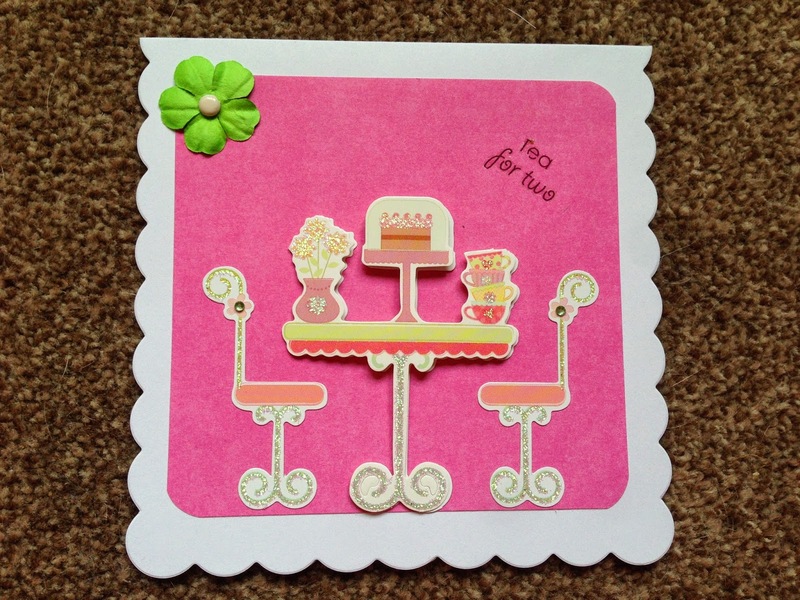 The pack is by Hunkydory and features card toppers and A4 paper selection so I purely just used these to create some simple cards. 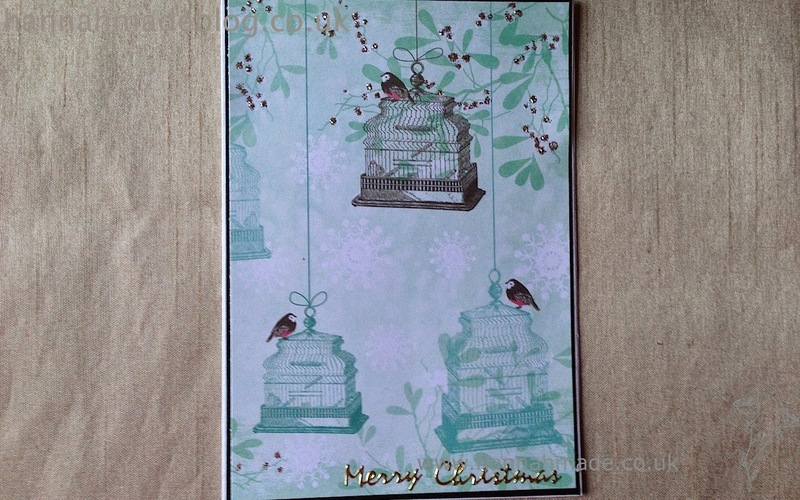 If you are interested in these papers and toppers, the collection is the Floral Enchantment. Sorry about the lighting, the weather is awful and my light box is at work! A couple of weeks ago I went on a coupon shop and never had time to write a post on it but the day has come, unfortunately I also didn't get around to taking some pictures before eating everything so a collage will have to do, Sorry! The first shop I went to was Pets At Home, I had a coupon for £1 off cat food which was soon to expire so I picked up some treats by Wagg, these treats are soft crunchy treats (if that makes sense?). One of my cats has very little teeth so this is perfect for her! They were £1 which means they were completely free! I then went to Tesco, I picked up the Innocent Veg Pot which Was half price to £1.95 and I had a £2 off coupon. I also brought a two bags of gluten free bagels which were £2.30 but I had a £1 coupon for each from the Free From Show! I also had a £2.11 price promise. That means I got a retail price of £9.50 for 44p after coupons and offers that is a 95% saving! Saving money can be hard at the best of times, and with increasing costs it gets even harder. Here is a couple of tips and tricks I like to use! This may sound funny but all the pennies I find loose in my bags and pockets I put into a money box. Once it is full you won't believe how much is in there! Just pop that in the bank and I put it into my savings as it is money I otherwise would never knew I had so I won't miss it in my savings. I know this is harder for some people but as I do not own a house I have a high amount of disposable income because I have little bills, so half of my wages go into savings on payday. I know this is not possible for everyone but moving a set amount into your savings on pay day means that you won't spend it on thing you don't really need! I also put the 'left over' money if there is any into my savings the day before pay day so I doth spend that as well! It's great if something is of offer or reduced to clear, but if you don't use that item regularly, don't kid yourself, you won't use it, and this is just a waste. You rarely need to pay full price for anything, use coupons, discount codes and shop around, if you are willing to wait you can always find a better deal. I am a fan of high end makeup but I do use drugstore makeup and nail polishes too! These can be found in the pound shops, you guessed it for £1! 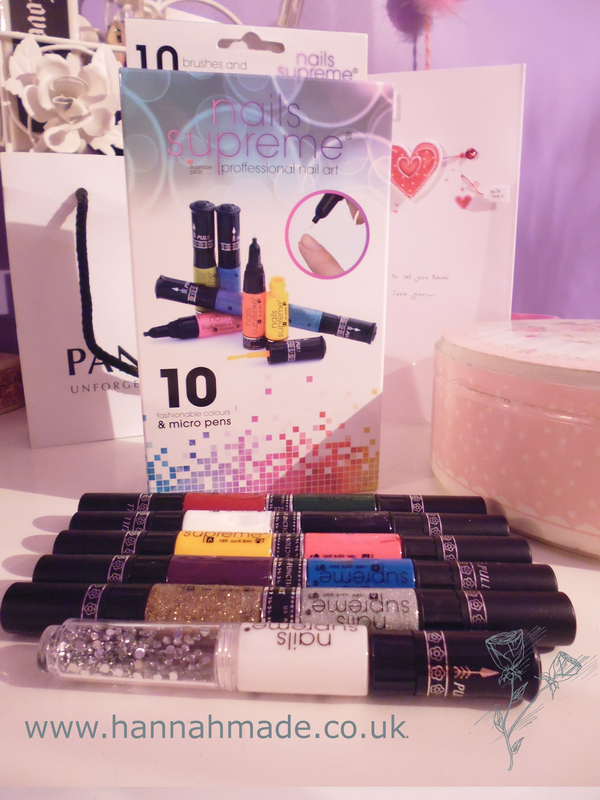 In the past I have found Rimmel, OPI, China Glaze, Maybelline, Revlon plus many more! I also pick up so craft and home things in pound shops. But watch out some products are not a good deal! Today I wanted to give my thoughts on days out and in particular eating and drinking whilst out. This weekend I went to see Wicked (Which was AMAZING) and then the others walked over the O2, which I didn't do again as I hated it the first time! Being as thrifty as I am (or cheap as some people may think) I was shocked at paying £18.50 for 5 bottles of water and two bags of sweets! So that made me think what sort of meals and refreshments I could do on a budget but still be on the go friendly and this is what I came up with. Popcorn is about £1 in most shops, just pick between your preference/ what's on offer. The average price of this in a cinema or show would be £15-£20 so that is a huge saving. And I would recommend throwing the midget gems in the popcorn bag and mix it up! YUM! All day events can be tricky as you do not know what type of weather or seating there is other than the cafe, so to play it safe I always pick easy eating on the go items. 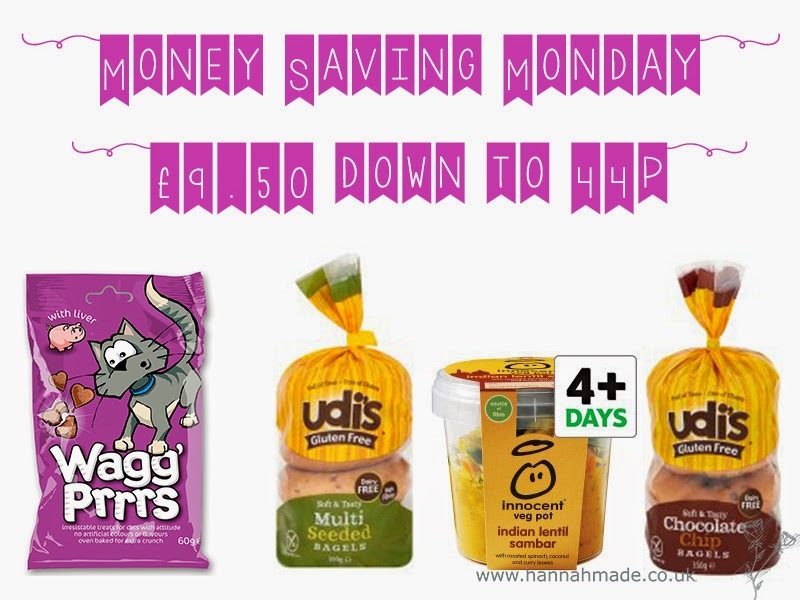 Udis gluten free bagels 50p after coupon from free from show and in store offer. Frubes (James loves these!) 80p in ASDA after topcashback offer. The best thing about this is we are bound to have left overs as there is only two of us but this could feed up to four. This is to cater for 6 people so that is only £2.40 per person! 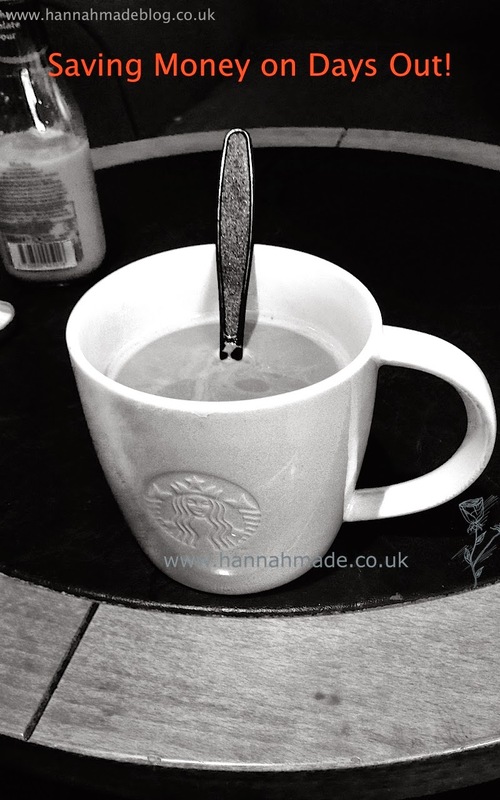 As you all know I really enjoy my coffees so this allows room in my budget to visit a Starbucks or a costa whilst out! 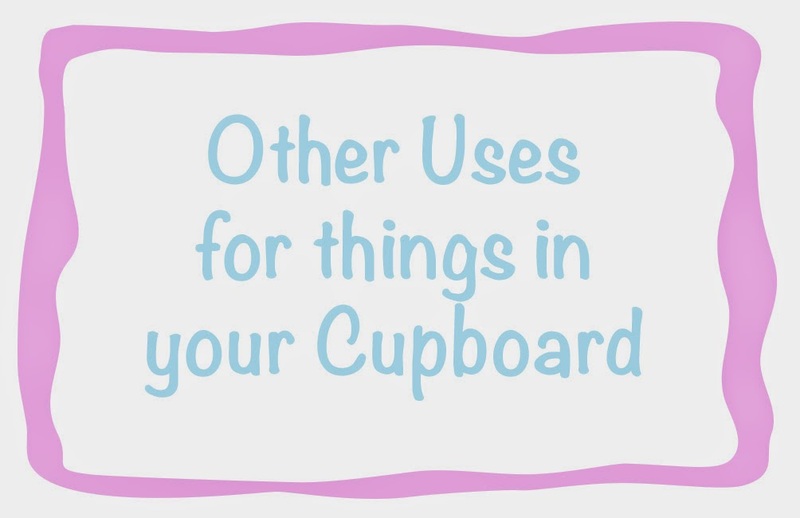 Money Saving Monday #2 - Products with many uses! I am a lover of a red lip and have many red lipsticks, but did you know they are also great for cleaning up silver. Just put some lipstick on a tissue and give your sliver a little scrub! And hey presto clean Jewellery! Keeping in with the lip product theme I use lip balm (preferably one in a tub) to rub on my heels and toes to stop new shoes pinching or rubbing. This is something I always have in my handbag too so quick and easy on the go! OK, so this one may not be in everyone houses, I trained as a florist for a short while before realising some flowers give me headaches! However I do still enjoy making arrangements when I have the time! 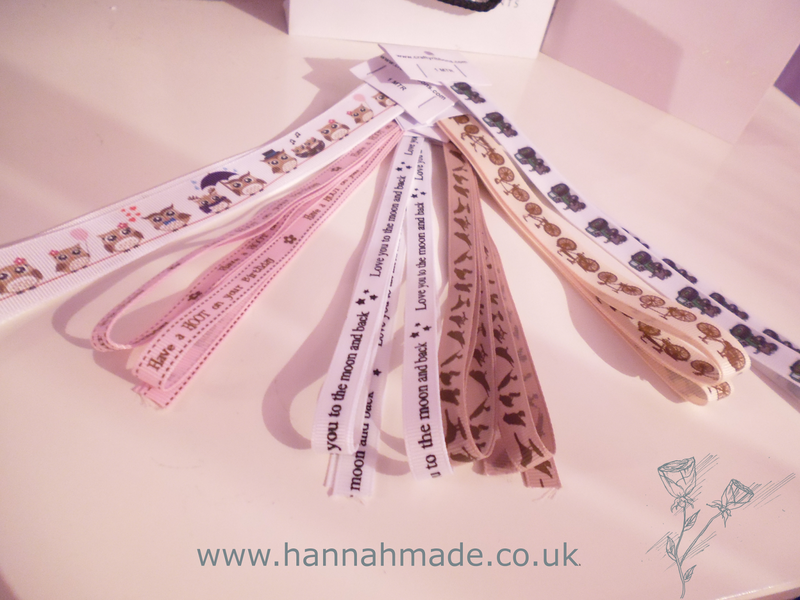 But Floristry ribbon is as cheap as chips, Pick up a couple of rolls and you can use it to wrap gifts, prizes for raffles and even for kids crafts. You can choose how wide you want it just by ripping down the middle and it's really strong! As a crafter once you have read your favourite mag why not put it in your craft stash, either to use as background paper, to cut out embellishments or why not just keep your surfaces safe from the mess you're about to create! Maps also look great as wrapping paper, as does some left over wallpapers, then stick some of that floristry ribbon on top! Once you have finished with that little piece of lemon in your drink why not blitz it up with some water (or white vinegar if something is really dirty!). Lemon juice is great as a cleaner, and this does not waste the rind either! You can even get out some of that newspaper you've saved and your glass will shine! 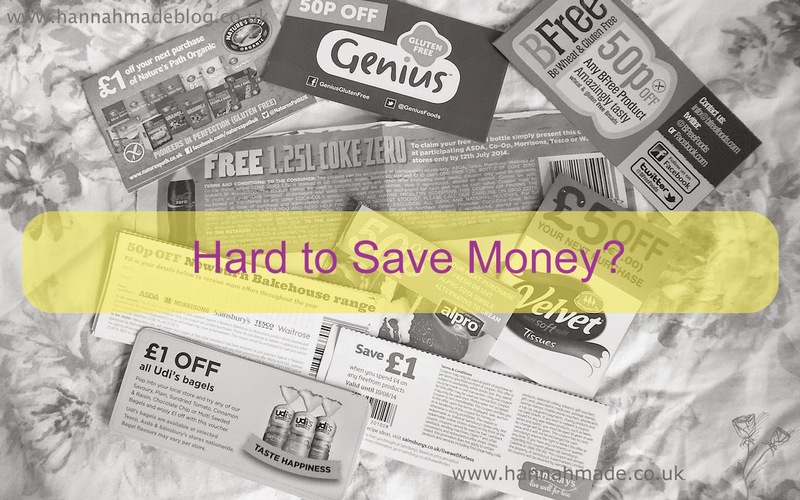 It is fair to say that I love a bargain, freebie, sample, coupon, loyalty card or anything were I can get something for less, try before I buy or getting the most out of my money. As we all try to save money here and there I thought I would start a series of small money saving tips and deals I have found! Hence Money Saving Monday! This week I will start with my views and tips on samples and coupons. Many manufactures give out samples on their websites or on Facebook or through other companies. My biggest tip is don't become a sample hoarder. If you have never had a dishwasher why apply for dishwasher tablet samples? If it is not something you will use or something someone you know will appreciate don't apply for one, otherwise people who do what to try these products will not be able to get their hands on them! 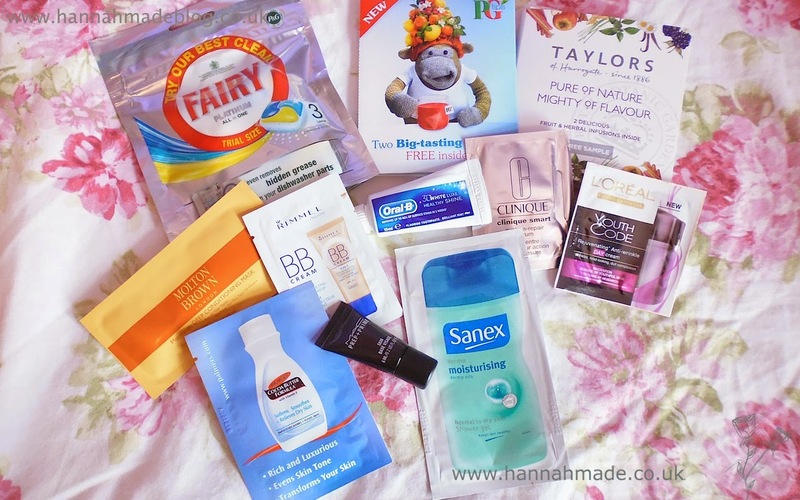 I find most of my samples through Facebook, from online shopping/Tesco groceries online or googling for a product I am interested in to see if they are freely giving away samples. I know many people contact companies for samples but I do not tend to do this. I also would recommend supersavvyme, they give away many samples and useful ones at that! Here is a quick look at the samples I have received recently, as you see they are all on the same vain as these are products I am interested and potentially would buy! Coupons are great! Yes my family think it's funny but I don't mind, I enjoy using coupons. My first bit of advice is don't watch Extreme couponing and think 'yeah! Everything is gonna be free' This just does not work in the UK and those who do manage this are more than likely buying things they really don't want/need which is again a waste! Watch out though, sometimes the non brand item still may be cheaper even with a coupon, just look when you think you are savvy shopping! I tend to use coupons combined with a deal or to get speciality items also to try branded products. Or if the coupon makes the price comparable to the own brand equivalent I'll give the product a go. 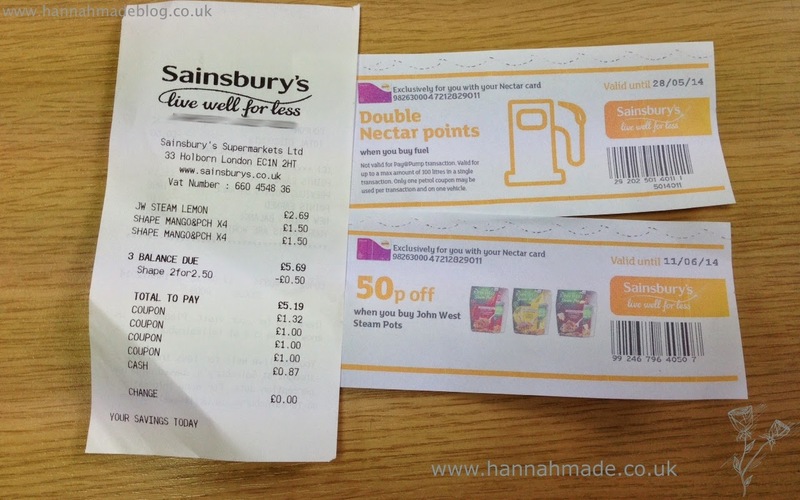 For example this week I brought 2 John West Infusions pots in Sainsbury's they were on offer from £1.50 down to £1 and I had two 50p off coupons. This meant I got flavoured Tuna for 50p a pot, a really good deal! 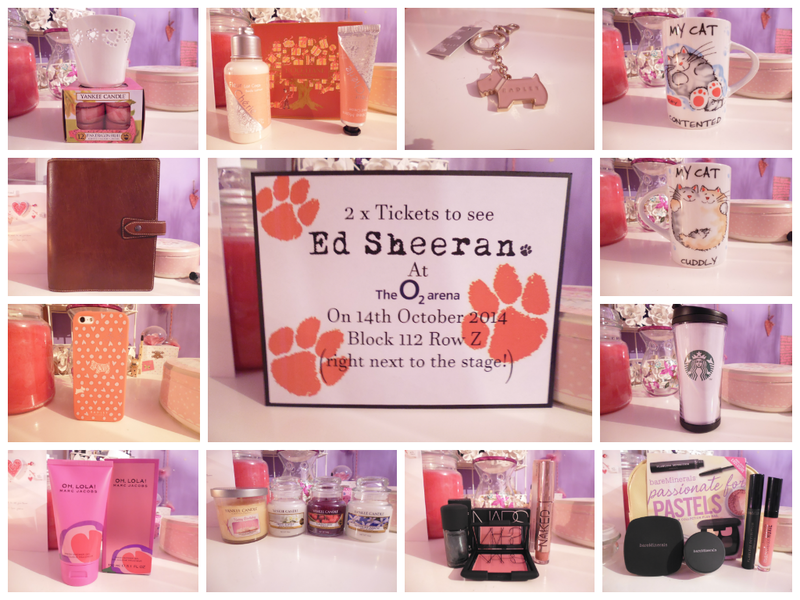 (These were done on two separate days, if there is a product and I got my boyfriend to print the second coupon!). As I am gluten free I do not take advantage of as many coupons as others could. However I do get some great deals. 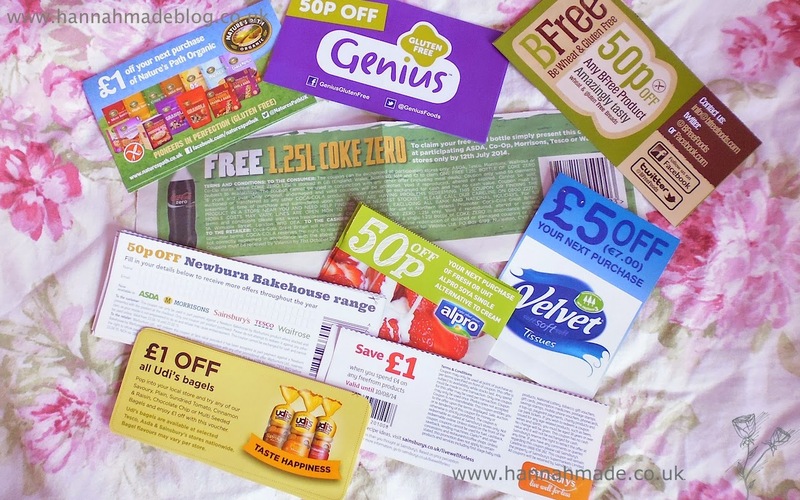 Where I find coupons: 99% of my coupons are found online either through google, emails or Facebook, I have also received some in the past from companies when I have been dissatisfied by a product, but only contact companies if you have a real complaint or issue. I also received some in the post and recently from going to to a free from show! I would also recommend cash back websites and apps! But I will talk about these more later. 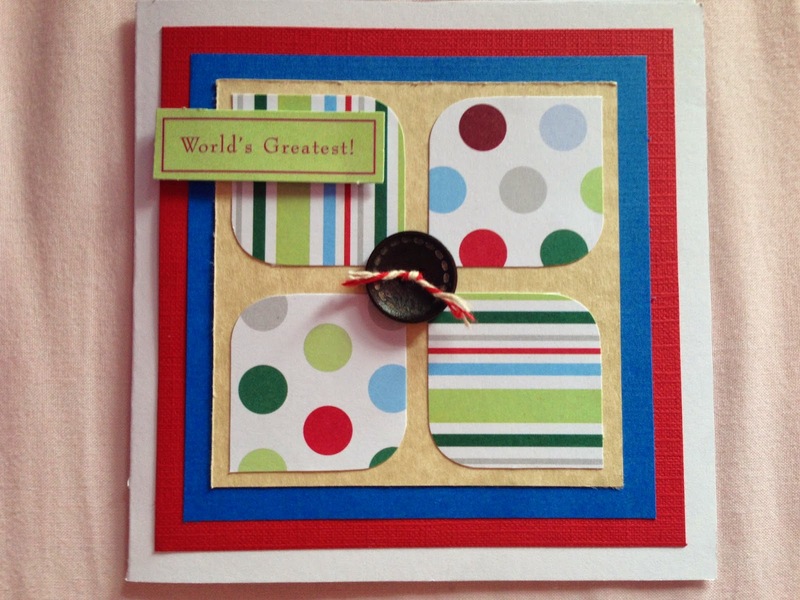 Shop My Stash Sunday #4 - Stripes! 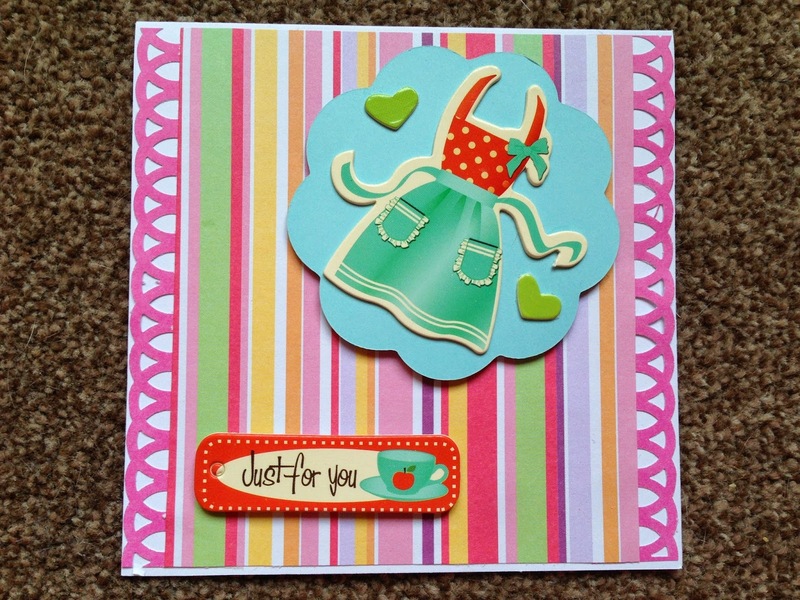 I am still using the Docrafts Dots and Stripes collections as clearly these really appeal to me, I have tons from the collections! I found some of the shaped postcard style papers, the sort that have scalloped and curved edges. (Sorry I cannot remember what these are really called and the label has gone walking!) So I got these out as well as the other papers from this collection . 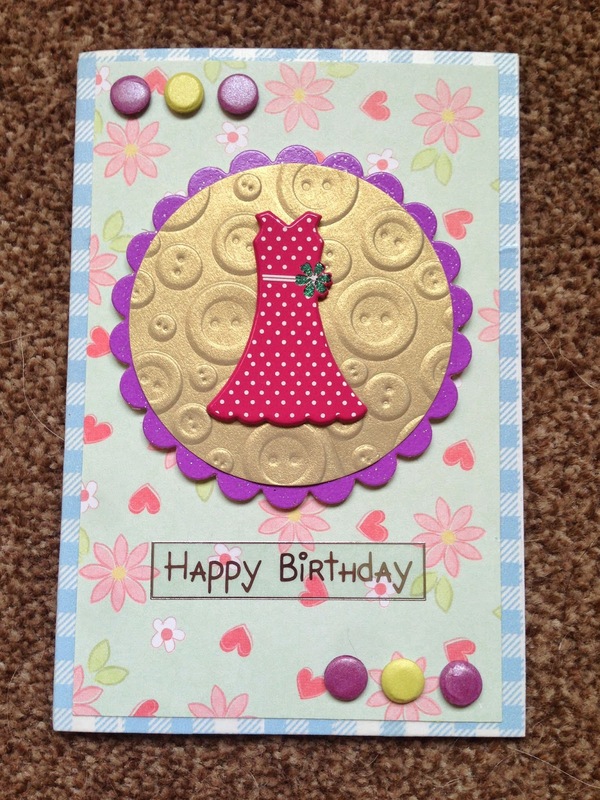 Add some buttons and Card Candi and your all set! This is what I came up with! Shopping My Stash Sunday #3 - Men! 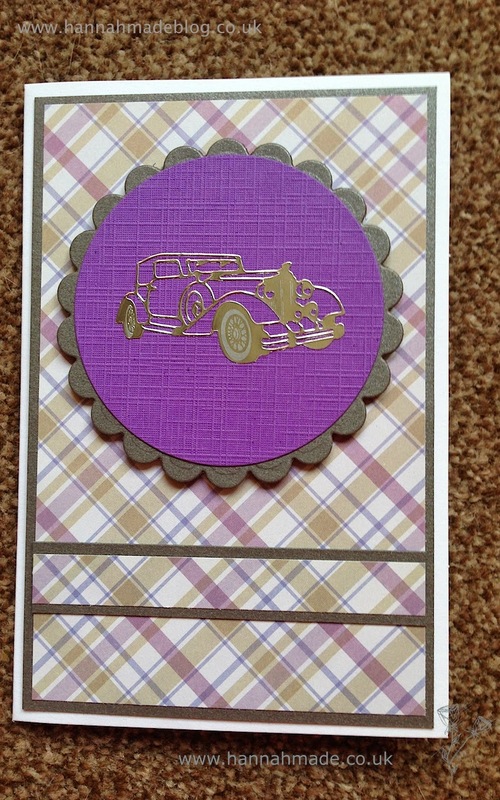 As I have said a million times I HATE don't like making mens cards! I always end up adding glitter or shimmer or just popping a couple of flowers here and there. 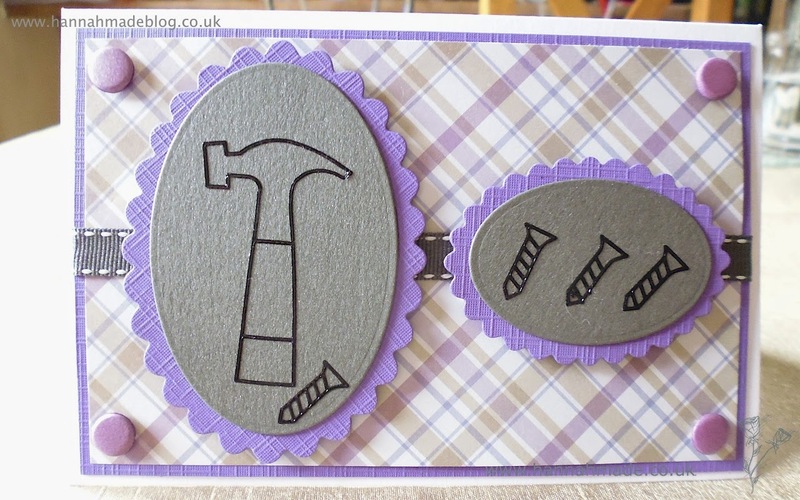 So Today as part of shopping my stash I have focused on making real manly cards. Without bling and glitter and flowers. I know a scary thought! So I went through my stash. I was given quite a lot from my Auntie who was clearing though her craft room, in this was some outline stickers. 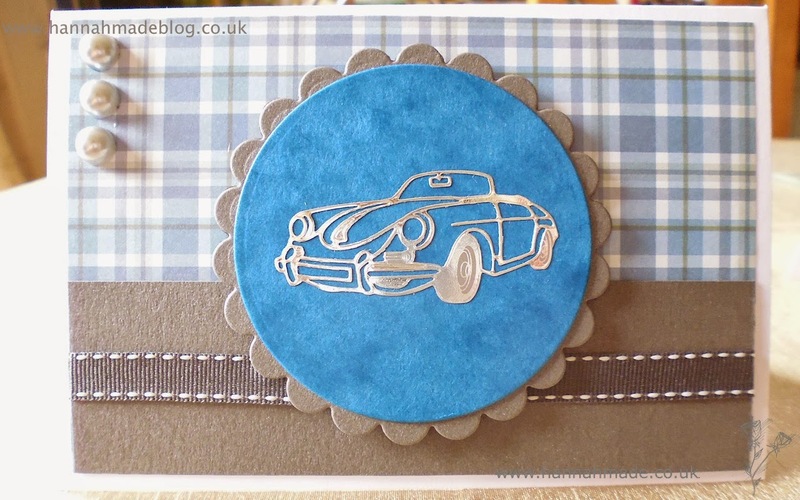 I personally have only ever owned words as outline stickers but I think that shapes give the card a very masculine effect, as sometimes I think stamped images are quite typically feminine. I then found a checked paper pad by paper cellar that I've must have owned for about 4 years so I decided to give it a bit more of a use as it screams masculine. 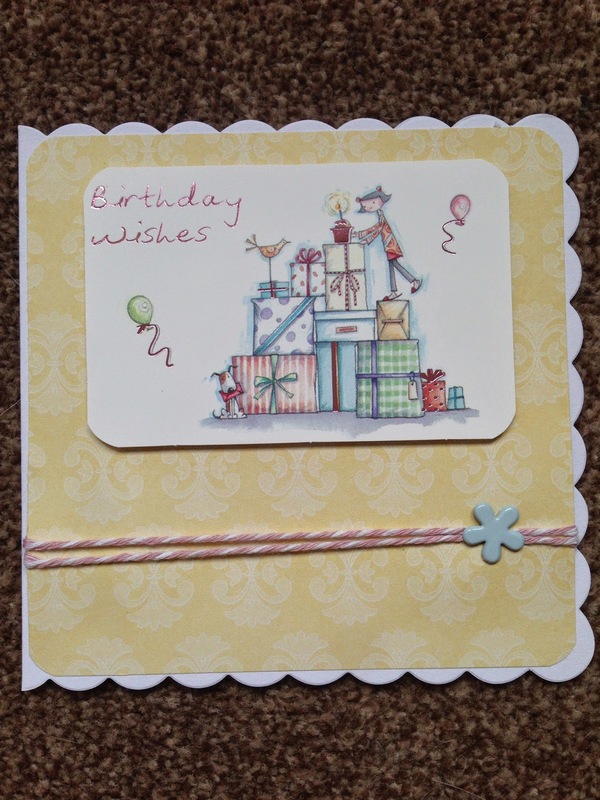 I also used my new Xcut oval dies, which I am very impressed with they give the same finish as my spell binders round dies but at half the price. (They are also 3 for 2 in Hobbycraft currently). As well as some solid coloured papers from my stash. This week I have created 3 more cards. I am still finding items from my 'free gift box'. This is where I store most of the items that are one use items from my Cardmaking and Papercraft Magazine. I really enjoy the content and the ease of reading this magazine, but they also include some great free gifts! 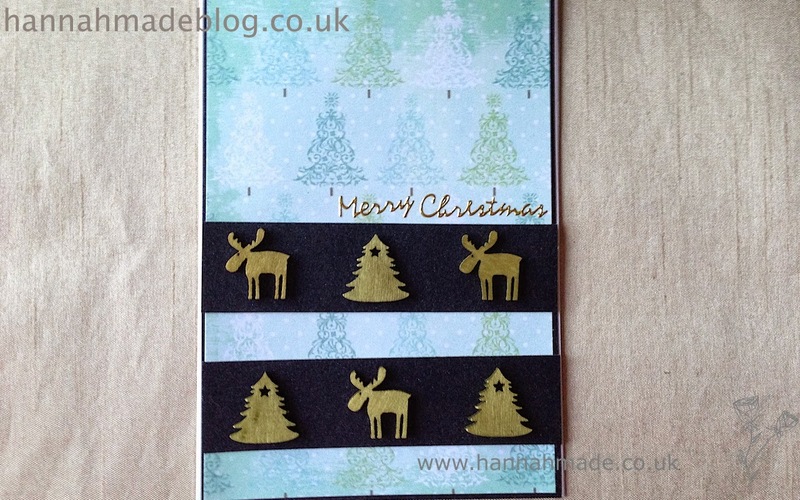 This week I have incorporated many food based embellishments and papers this week, I found some kitchen style chipboards which came in the second issue I ever brought of the magazine so they are a good 3 years old! I also used some pre printed images from the magazine and incorporated some papers from The Works ( which is my fast favourite for finding gems!) as well as some Do crafts collections. As it was Fathers day this weekend I obviously made my Dad a Card! Cards for some of the men in my family are not the easiest because they have no real hobbies! And this makes for a car, gardening or golf card to seem quite out of place, so to overcome this I decided this year I would focus on colour! This card incorporated many bright colours which my Dad enjoys, I had seen a card almost identical to this but in neutral colours online a little while back, but for the life of me cannot remember who created it, so I apologise if it was you and I can't credit you! I was so taken with the use of rounded corners combined with squared corners and buttons I knew I had to make one myself. I used brighter colours because I feel this was more fitting for the occasion and to what my Dad enjoys! Shopping My Stash - Brads! Ever look at your hoard of craft items and think, some of this stuff I haven't touched in years? Well this is what happened to me. Being the sort of person that doesn't like throwing things away I have made it my goal to use these bits up! So I started with brads. This is the first 4 cards of the stash shopping. 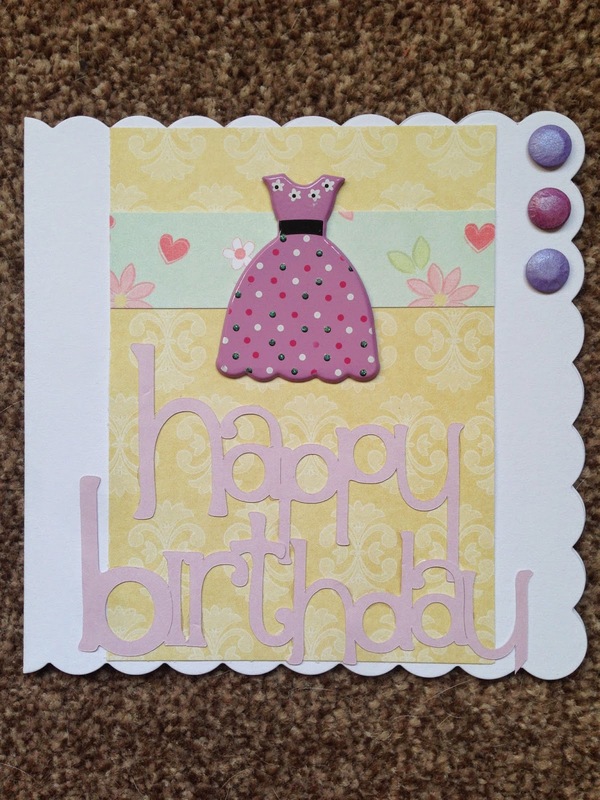 I also used some older papers and some new stamps and Eclips machine, as I found this was the easiest way to use things up is if you experiment with something new! As I was a little out of my comfort zone but I don't think they are too bad! I have a new love in my life... Coupons! I have been hunting them down and looking for the best deals. There is no way I could large shops with tons of them, it would take way too long, but picking the bits up little by little I have made some successful savings. BUT remember its not a saving if it is not something you would not normally use! This meant that I got £5.69 worth of goods for a mear 87p! That 9p an item. As you will know I can't eat couscous but this was brought for my dad to try and from the machine I got another 50p steam pots and double nectar points on fuel, which is handy because I need to fill up! It is a complete mystery to me how Ebay sellers in Hong Kong, China etc. offer products so cheap. I know they ship them straight from the factory but even with shipping these items were 99p each! (The animal post-its were 4 for 99p). As an online retailer myself it really does amazing me considering how much we pay to ship products in the UK! surely that doesn't cover the costs of the fuel! Either way why not take advantage of these great deals, particularly when you can collect nectar points too! I'm not going to tell you everything you buy will be amazing quality but what would you expect really? I have not yet been brave enough to buy clothes from these sellers but I have brought many stationary and other household items, most of which I've been very pleased with. Today I wanted to share the post-it notes I purchased for my filofax, after looking for hours in shops I have always thought post it notes were overpriced, I don't like to pay much for paper I write on and throw away, so I gave ebay a shot and this is what I got. Some of these sticky notes are slightly smaller than I imagined but that is not an issue, the main thing is they stick! I have brought many sticky notes in places such as pound shops and they don't stick to the paper you want them too! What kind of things do you like to buy on ebay? Last week I went to the craft fair in the Excel centre in london, this was a very daunting prospect for me due to suffering anxiety but when my grandparents invited me I could not pass up the opportunity and I had a fantastic day! I met so many crafters and jewellery makers like myself and I found the whole thing so inspiring, and of course you cannot go to a craft fair without buying some new crafty things! A few of the stall holders didn't give me a card so I can't tell you where I got them and even worse I can't repurchase any of these items! I first brought a large collection of items from Art of Crafts. 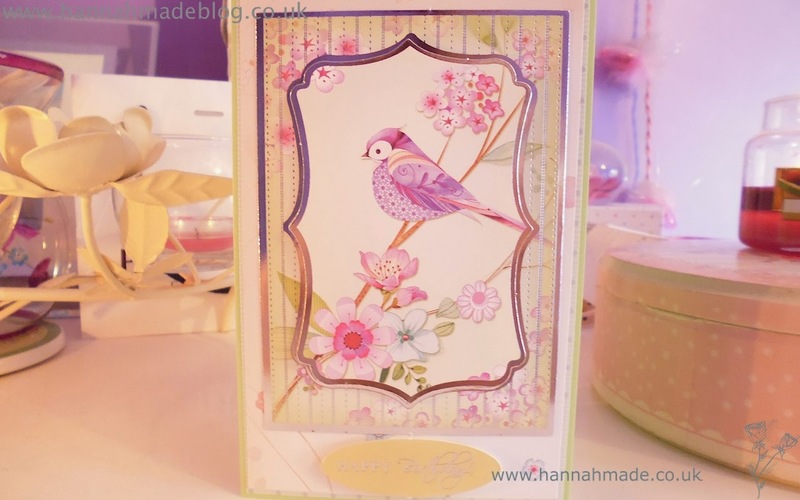 This included two packets of card candi, a flower die set to use with my cuttlebug, these georgeous owl stamps and then I found the bargain bins! 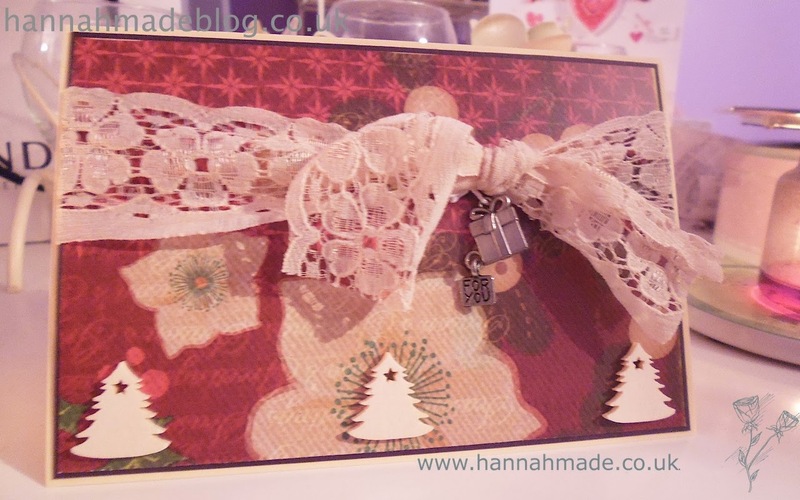 And I couldn't resist, I found a couple of embossing folders, one with stars and one with squares. Then I found a Joanna sheen stamp which I forgot to photo before mounting but it features two boys at the seaside and other small seaside based stamps. Then I was sucked in by the ribbon devil and brought six strips of ribbon for £5 these are lovely quality and are from crafty ribbons.com. I think you'd agree some of the designs are quite unique. The crafty beggars stall was run by Debbie Moore's sister and as a result all the Debbie Moore CD's were half price, I don't tend to use CD's in my crafting but this Christmas set was £4 and included papers, stamps and toppers as well as the CD and for that price I couldn't turn it down! Even if don't use the CD the pack was good value. Who doesn't love a bit of Noah and the Whale! Yesterday (8th March) was James and my five year anniversary! Who would have thought! James and I have known each other for nine years, and first met when we were eight years old! That sounds a little crazy to me! 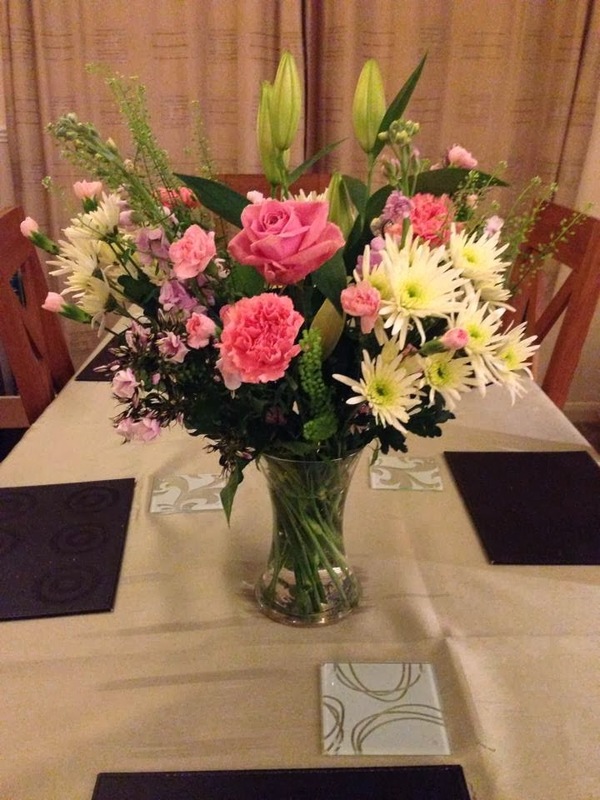 To celebrate I got James a Ted Baker case and took him out for dinner at a local pub restaurant, and he turned up at the door with these! How lovely is this beautiful hand tied! Ok, I know technically a Filofax will not 'cure' my anxiety and panic attacks (and sometimes even I don't know what I'm panicking over!). But it certainly does help. I have owned a personal sized Filofax for three years, but recently it had not been working for me because the rings were too small and it was just overall WAY too small. So I was shopping around and found the A5 Malden on the Filofax website, Im not going to lie, this is a very pricey planner. but I was lucky enough to be gifted this one by my parents for my 19th. 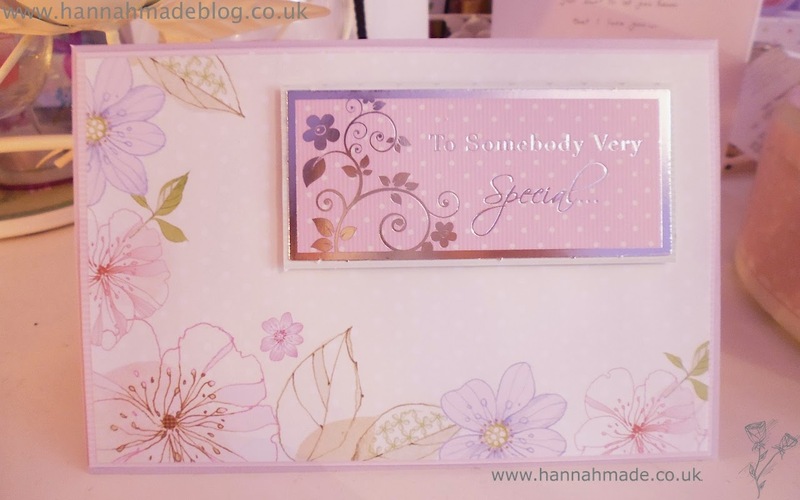 My Filofax is used for all aspects of my life and this includes the work I do for the family businesses, the work I do for HannahMade, as well as my personal life. I also store coupons and vouchers as well as my finances and birthdays etc. I will be giving a more in depth overview of the sections in my filofax but for now I am just going to show you the basic things I do in my planner. Birthdays are very important to me, and where I make cards I need to make sure I remember to make the cards in advance. Where I have not had my planner that long I have 'up cycled' the sheets that were provided but this doesn't mean I will not be 'Hannahising' my planner and using the address sheets to view Birthdays a month in advance is only temporary until I get chance to type this up, (this weekend hopefully). Either way I have one of the dividers for birthday's where I can see all the Birthdays I need to cater to in the next month or even two if I need to. On the day on the Birthday I write that persons name on the top of the day with a little sweetie sticker. This just reminds me and allows me to remember when I need to send their card and gift. I have not got an image for this because this isn't just my finances but my boyfriends too. James and I are very open with what we earn, of course we know what I earn much more because I am on a set salary with bonus income from my jewellery. But where James is a uni student he only works part time so we like to track what we have and where we spend. I also have sections for HannahMade, Blogger, diet, groups I'm in the committees of. These will be shown more in depth when I've got it just right! As you can see I am using a week per page which came with the planner. I'm not sure if this is the layout I would pick but because I came with the planner I will not waste it! I have the today ruler book marking this this week isn't very full as my normal weeks are but its not as empty as some weeks. Purple is usually used to write down personal things like meeting friends for coffee, yellow is used to see when James is working, grey is meetings for my groups and pink is HannahMade. The post-its are used for different topics, this week I have a post-it of what I need to complete this week for one of the family businesses and the other has repairs for people's jewellery. I also post-it shopping lists, other work schedules among many other things I want to do/complete this week. Post-it notes - I use these for everything, absolutely everything. I don't think I could compute without a Post-it here is just a small collection I use. Pens - I use a bic crystal fine ball point for note taking and writing birthdays. But when I'm in the mood for a bit of colour I always use Staedtler triples fine liner. What type of planner do use? Do you even use one or think they are useless? I haven't posted in over a week (whoops! ), so I thought it's my Birthday so why not do a quick picture post of what I got! I had a great weekend, surrounded by my friends, boyfriend and family and as usual I was completely spoilt beyond belief! This card was made for my Aunties Birthday. Yet again I was shopping my stash, and I came across some almost used up thickers sheets and that led me to see what words I could make out! This set the theme for the card and the rest fell into place! A really old cat stamp set, yet again I do not know who they are by! Tim Holtz antique linen distress ink. Second Card of the night, I know they look every similar but once you make one you really like, do you ever feel like replicating it? Well this is what I did and I managed to use more of those thickers! 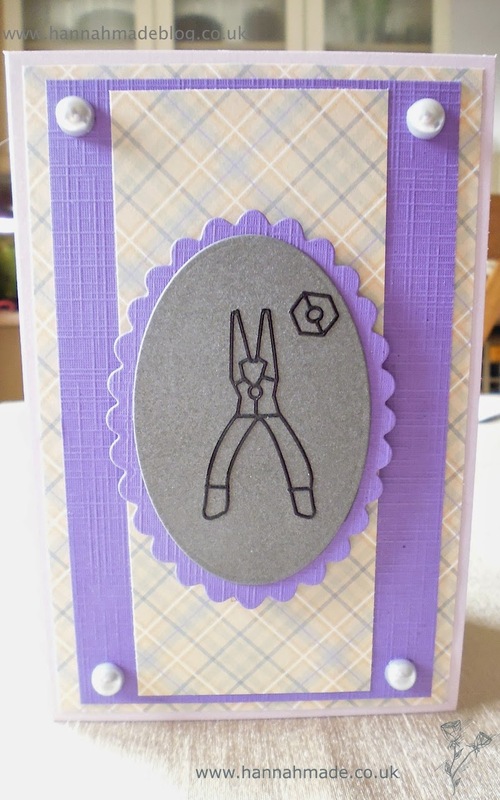 This card was made for our cousins who are having their second baby which is a girl! Exciting! 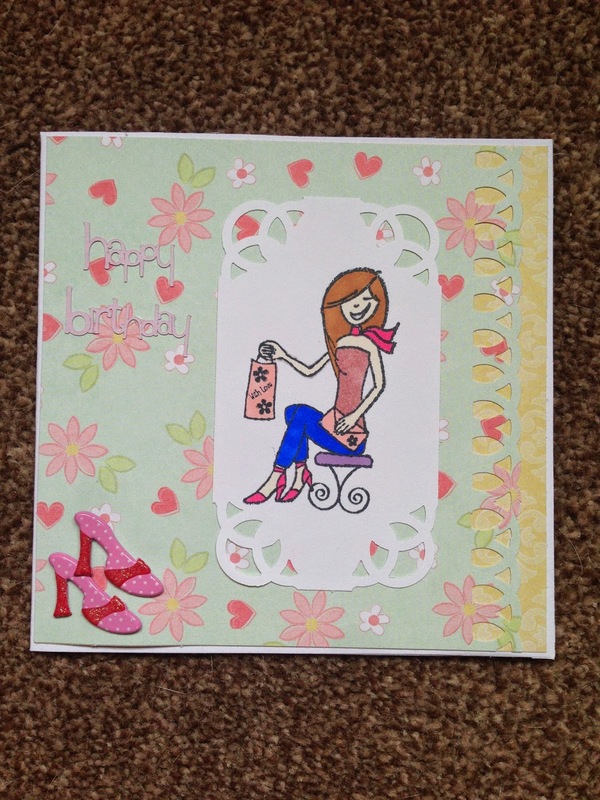 Something to celebrate cricut cartridge. 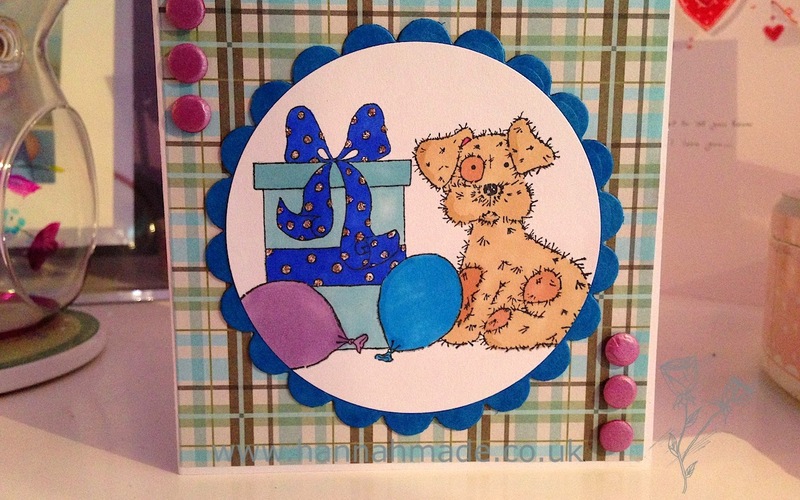 This is a card I made for my boyfriends cousins Birthday, is it just me that finds making guys cards tricky? 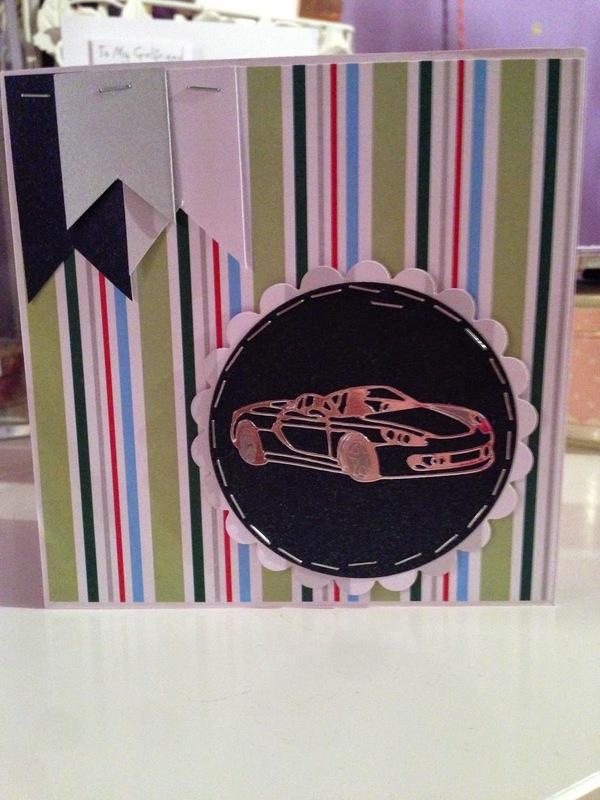 They tend to end up with a card on them even if they aren't that into cars! Bad I know! But either way this is what I came up with!